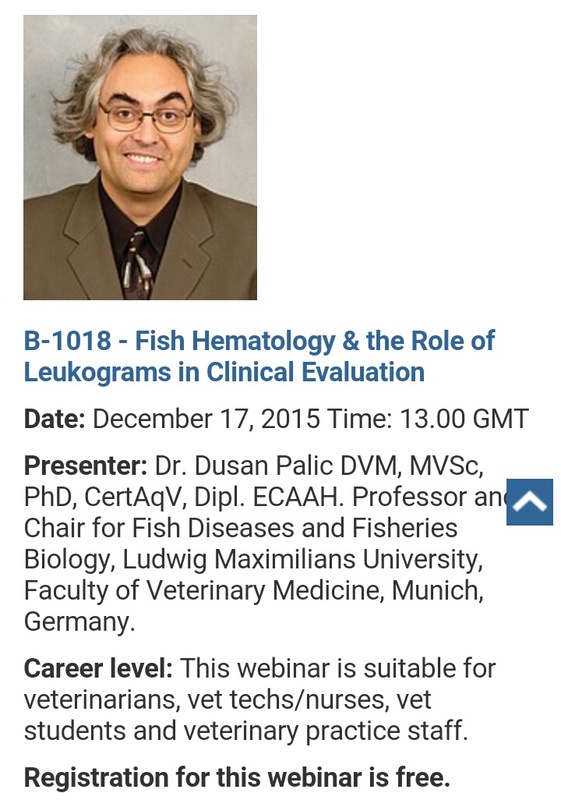 Fish Haematology & the Role of Leukograms in Clinical Evaluation of Fish. Previous Post Seasons greetings from The Fish Vet. Next Post Aquatic Animal Health Chapter of the Australian and New Zealand College of Veterinary Scientists (ANZCVS) – excerpt from the December 2015 College Courier.